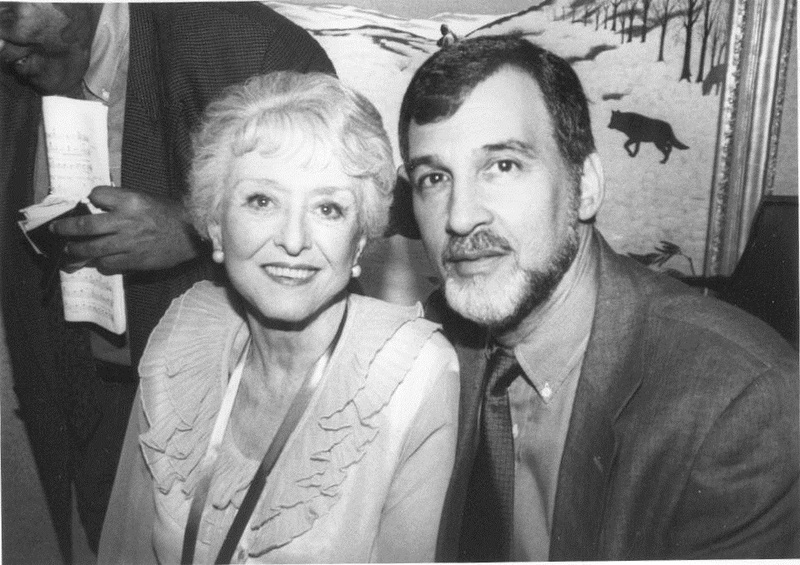 Darryl Zanuck said, “Stopping Celeste’s star from rising would be like stopping Niagara Falls from falling.” Luminous and darling, Celeste Holm radiated grace and charm, cultivation and accomplishment, artistry and flair, and, underneath it all, resolute, quiet strength. Oscar Hammerstein told her to go home to New York, Hollywood would destroy her. Grateful as many of us may be to him for his advice and to her for taking it, I can’t help but believe Hollywood would have blinked first. I wish I’d taken a picture of Celeste when, just home from the hospital after being treated for a paralyzed vocal cord, she went to the piano to demonstrate she could sing again and chose one of the more difficult songs for herself, “My Ship,” and stunned us (all but her husband Frank, that is) by being able to do it, and well! Or when, though quite frail, she became the biggest surprise at a surprise birthday party for me, rising suddenly not only to sing, but to perform, “I Cain’t Say No,” incorporating every recognizable, adorable Ado Annie gesture, while I thought, “This is in all likelihood the last time she’ll ever sing this.” I was wrong; by that time I should have learned never to underestimate Celeste. Several years later, she reprised it at another one. “I ain't the type that can faint,” she sang. Nor will her legacy. To know what those of us who loved her (the most, I’ll add) thought kept her alive and serenely happy in her last years, please go to "September Song."